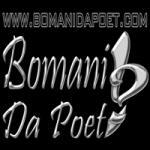 Sign up for Broadjam today to follow Bomani Da Poet, and be notified when they upload new stuff or update their news! 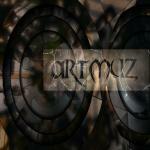 Born and raised in Philadelphia, Bomani was surrounded and influenced by music his whole life. At the tender age of 9 years old, Bomani was introduced to Music and Poetry by his late Aunt Rosemary Taylor. Learning to express himself with his new found gift, Bomani fell passionately i love with Music and Poetry. Over the years, Bomani Da Poet has captured the raw gritty lifestyle of everyday living and redelivered its stories with unheard expression, skills and word art that makes him very unique with his own style and flare. Bomani have been blessing mics, stages and shows from all angles.